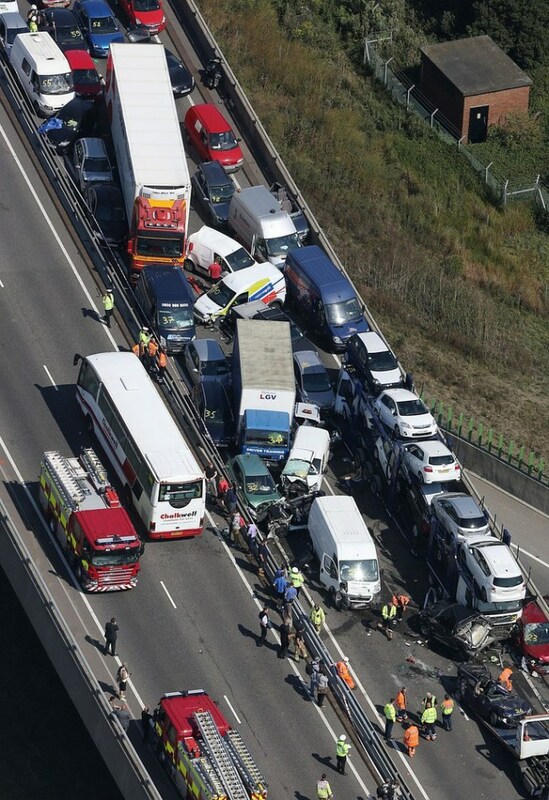 Yesterday there was a huge crash in London and reports say at-least 100 vehicles would have been in the crash. 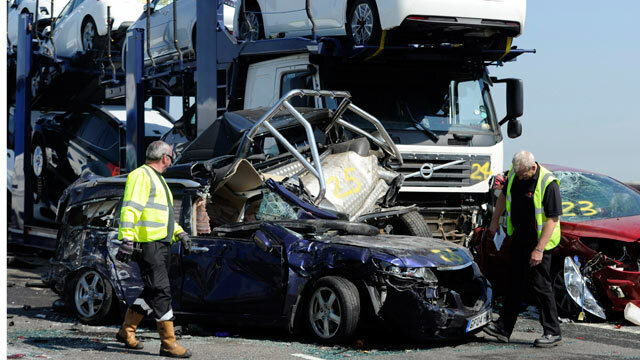 Can we think of an incident in our life were 100 vehicles smashed with each other and making a pile-up in few minutes? It happened in real world. 100 vehicles mostly the cars piled up massively by smashing each other around 06:30 GMT in London. This incident took place in the Kent, Southeastern part of England. 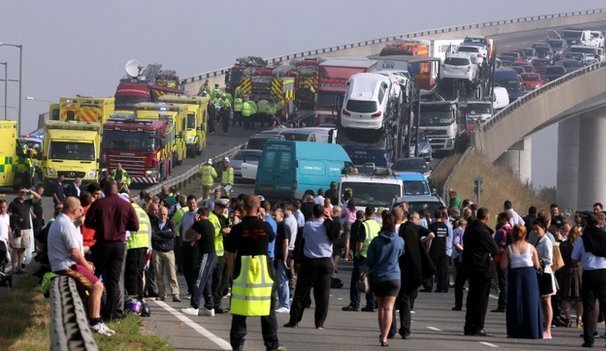 In the multi-lane bridge connecting Isle of Sheppey with the mainland of Kent, this huge incident took place and the important thing to be noticed is that no one found dead in this accident. Everyone is same with minor and some major injuries. The reason for this incident is thick fog which had cut down the visibility. Few trucks and many cars were in the incident. It seems the incident took over 10 minutes as the vehicles keep on clashing each other and piled up. Few motorists have fall down from the vehicle and sat on the road side for someone to help them. Around 200 people were injured in this incident. Many people had minor injuries and six members had some major injuries. The members who were the part of incident said that they couldn’t see anything due to the lack of visibility caused by fog. What they hear is the only sounds of vehicles smashing each other and the brake sound of the vehicles. Cars like Mitsubishi and Audi were found upside down in the incident. A black color Mitsubishi found upside down over a small white color car and an Audi car found upside down on the bonnet of another car. Really it’s a huge incident and five people were locked within the vehicle and were unable to reach out. Those five people were rescued by the firefighters with the help of Hydraulic cutting. It would have happen for more vehicles to be part of this incident. Fortunately a truck driver blocked the way at the entrance with his truck and saved many others from this incident. After that, officially the crossing A249 bridge in which the crash took place was blocked. Only 30 people were taken to six different hospitals and rest of them were treated at the pile-up. The reason for the others unable to reach hospital is because of the wrecked vehicles, said by the Southeast coast ambulance service. After nine hours around 17:30, the bridge has been opened. The reports say the only reason behind this incident is that the fog is very very thick today. A local reporter says that, “It’s the huge event he had ever seen in his life and its horrific”. Really it’s a very horrific incident that everyone would have come across. Its not the film or a game to watch number of cars likely 100 cars to smash each other to create a huge incident. It’s a real world incident and hence look to be the huge event that everyone came across. Fortunately everyone were safe from this huge incident.